Destination Missoula and Monte Dolack joined together to create a new tradition of fine art gracing the cover of the 2009-2010 Missoula Visitor Guide. You can own your very own copy of Monte Dolack’s print. Missoula Valley Study #2 is a 23″ x 32″ print that is available both signed and unsigned. Shipping and Handling for each order placed is $12 (if applicable). 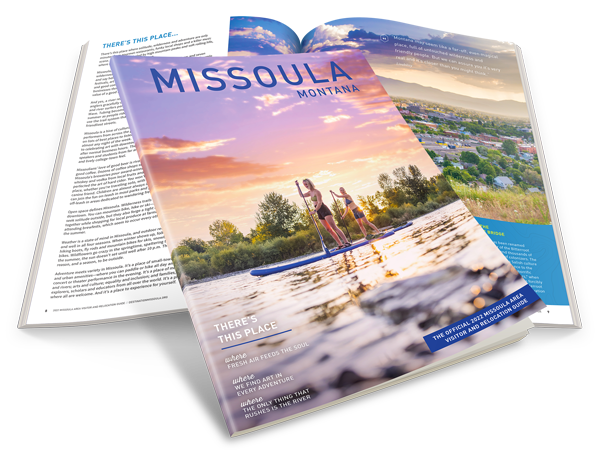 Your purchase of this Monte Dolack print helps Destination Missoula, a non-profit organization, to promote its mission of marketing Missoula and surrounding areas as a premiere travel destination thereby creating vibrant growth in the economy and enhancing the quality of life.